Just in case you were planning on visiting, or in case you didn't know already. 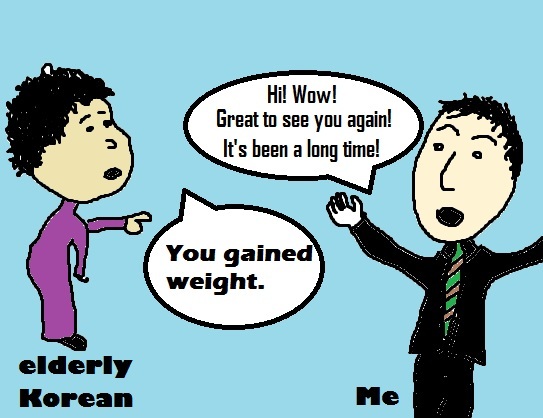 And it's culturally okay for Korean people to tell you you've gained weight, especially if they're older. Recently, I was able to attend a good friend's wedding. This is a Korean friend I had met before coming to Korea, so when I arrived she was the only person I knew. I had a chance to meet many in her family when they invited me over for Korean Thanksgiving, one year... but that was several years ago. So I arrived at her wedding, not having seen her family members in years. It was a very joyous and beautiful wedding. I walked around saying "hi" and shaking hands of so many people I hadn't seen for so long - told them it was great seeing them again and how nice they looked. Then my girlfriend and I took our seats, and an older Korean lady who was sitting in front of me turned around. "Chris?" she asked in Korean. 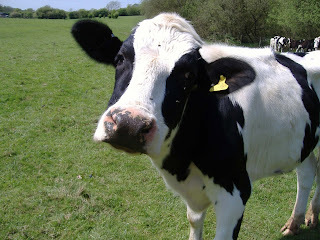 I recognized her! It was my friend's aunt. "Oh! It's great to see you again!" I told her, smiling and greeting her with a subtle bow. "You've gained weight." she said. And she turned around again as the wedding started. Inwardly, I was shocked. Well... okay, she was right. I had gained some weight. But it's been 3-4 years! She didn't even greet me... just... "you've gained weight"?! Well that's just from my perspective, because it's SO contrary to my culture. But in Korea... that's how they roll! I was mentally reflecting on this encounter during the wedding, and verbally afterwards. My Korean girlfriend was sitting right next to me when it happened, but it didn't phase her at all... because it's totally normal. People can and do say that to you. They've earned the right to say what they want. It's quite common among bosses. They can say what they want. They are concerned about your health and appearance. They are concerned about your attractiveness to them, and how you come across to their friends and family. Ironically, it's least common to hear it from a friend, but sometimes they might. I asked my girlfriend about the proper way to respond to that because I was quite speechless. The answer is just to say, "yes", and smile. Korean people are generally quite thin. There isn't one simple reason why, but a large part of that is because of their diet. That'll be a future blog post, but as a preview: Korean food is quite healthy, generally speaking. 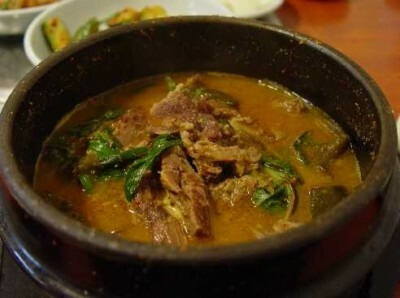 It often contains ingredients of of rice, vegetables, and seafood eaten raw or cooked by boiling. Unfortunately for me, I'm not conditioned to stomach a normal Korean diet, day-in and day-out. When you arrive in Korea, as a foreigner, there are so many nuances of society that seem familiar, effects of globalization and imperialism, that you might easily overlook some of the more subtle and interesting characteristics. It IS noticeable, as you spend time walking around in Korea. Especially when you walk among the older generation, you might get annoyed at how slow they walk. You might notice them strolling more. You might notice a pattern... that their hands are clasped behind their backs along their waist. Pretty soon... you come to identify this phenomenon as something Korean: the way they walk. But what might not occur to you is the depth of culture and history behind it. I might not have caught it, either, except that it was revealed to me. One day in 2010, I was waiting outside my friends apartment complex. 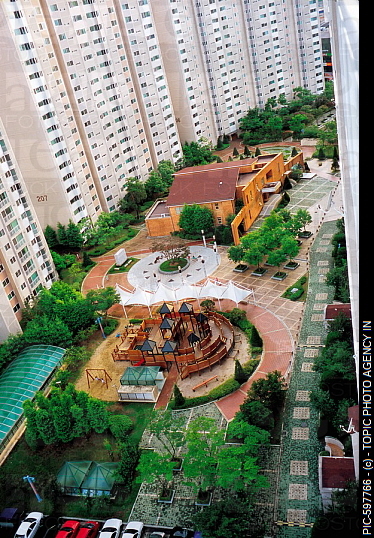 A Korean apartment complex is often a group of 4 or more buildings at least 15 stories high. In the center of this cluster they have something like a little park: a nice path, benches, trees, a playground, and a pavilion. I was standing there, waiting for a while, when an old grandma walked past with a young boy, probably 5 years old. By this time, I had been in Korea for a little more than two years, so I could understand a bit of Korean and the rest I could piece together from carefully watching. The grandma and the boy walked together for a little bit. Suddenly she turned to look at him. She gave him a little smack, and started yelling at him. "Don't walk like that! Straighten up! Put your hands behind your back! Put out your left foot. Step! Put out your right foot. Step!" She was teaching him the Korean walk. The Korean Yangban were the ruling high class, or aristocracy, from the 1300's until 1910 when the Japanese began occupation of the Korean peninsula. Among other things, they were known for strongly upholding Confucius' ideals. The way they walked was a signature of their status. 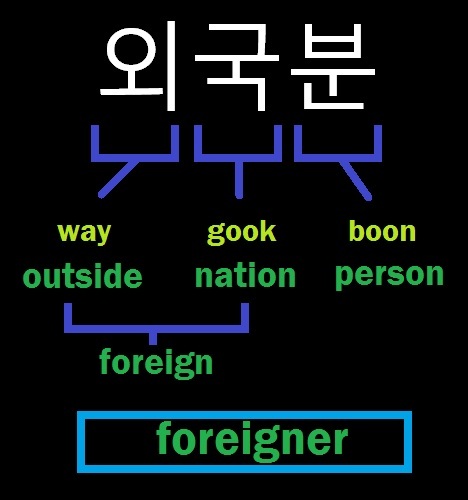 The reasons why some Korean people still walk that way, today, and teach it to the kids, is unknown to me. It could be a declaration of their status, or still signify class. It could be in remembrance of their ancestry. It could be to uphold culture. Perhaps I will find out, someday, and I'll be able to update this post. Despite the fact that this walk can be seen and noticed today, it is not exactly dominant. Many of the younger generations in Korea don't know much about this. However, from teaching in a well known elementary school in Seoul, I can say that many Korean teachers walk this way through the halls. Among the first graders, in particular, they are taught to walk this way through the halls, and are scolded if they do not. This is not a school-imposed teaching. It depends on the teacher, and is just something they choose to have the kids do or not. When I see the little first graders doing this, it is adorable. And since they're in first grade, they sometimes neglect the point of this walk, and can be seen straightening their back and clasping their hands behind them while running at top speed down the hall! I've heard that the Korean language, known as Hangul (or Hangeul), is one of the most phonetically consistent languages used today. So when you see what we call a vowel, it almost always keeps the same sound. In contrast, English has assimilated so many different words from other languages and kept the foreign pronunciation, it's become somewhat of a tossed salad. So now here's the problem: When Korean is Romanized so that English speakers can read it - there is absolutely nothing we can do but completely BUTCHER this beautiful language. This is one of the main factors which makes it hard for English speakers to learn Korean. (Again... I'll expand on that later. That's a completely different topic). Why is it difficult to learn Korean? Korean has vowel sounds that English doesn't have. Korean has consonant sounds that English doesn't have. 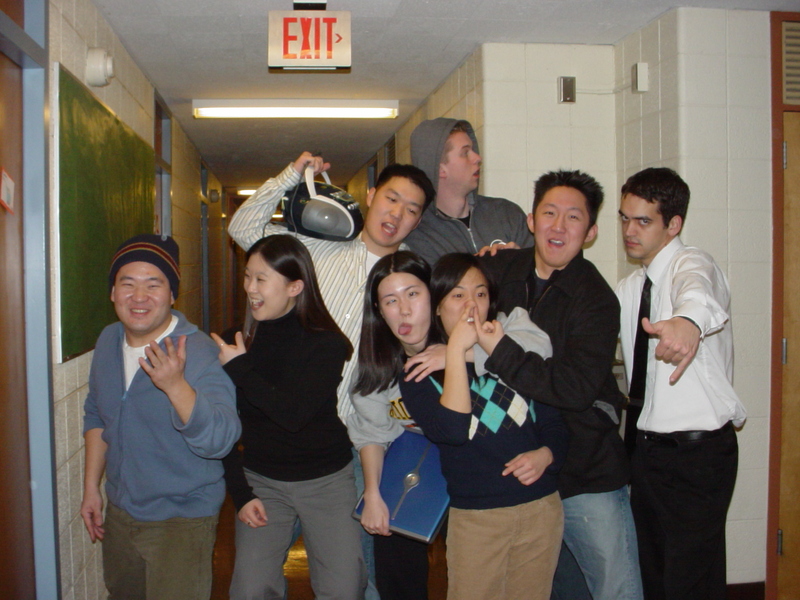 There isn't a huge international demand for learning Korean, thus (unlike English), most people don't know how to approach teaching Korean as a Second Language. Foreigners coming to Korea speak international English. Different foreigners want to spell Korean words, using the Roman alphabet, in different ways according to how they hear the Korean being spoken. Because of #s 1-4 above, one Korean word can be Romanized in many different ways, which makes it all the more confusing for those trying to learn. There is no consistency in the Romanization. Two Korean surnames are "Lee" and "Lim". The thing is, when speaking Korean, these names are pronounced "EE" and "EEM". There's no "L" sound. So, initially, I held some disdain for the English spelling and pronunciation of these fine names. They had represented a strong pet peeve of mine in how we butcher the Korean language. The Korean girl I'm seeing has the surname "Lim". One day, I said to her, "You know what? I really hate speaking your last name in English." And I explained why. So she informs me, "Actually, 'Lim' is the way they say my last name in North Korea." The same is true for "Lee". Since learning this fact... I've developed a deep love and respect for the beautiful historical relationship that the English spelling and pronunciation of these names have with Korea today. I can't wait for the day when Korea is one again. Finally, after living in Korea for the past 5 years, I bought a bargain used car from another foreign teacher who was leaving the country. Despite being in the huge megalopolis of Seoul, I love having the freedom that a car brings, as I always had in the USA. Unfortunately, I'm forced to park outside, and Korea has a phenomenon called "Yellow Dust", which is known to all Koreans. That's a different topic which I'll expand later. For now, just know that it makes my car very dirty, very frequently. So, getting the car washed regularly is a must! Having lived in Korea for 5 years, a common theme I'm still learning to more fully implement, which you'll hear repeated on this blog is: When in Korea, follow the Koreans. Adapted and slightly changed from the "When in Rome..." mantra. 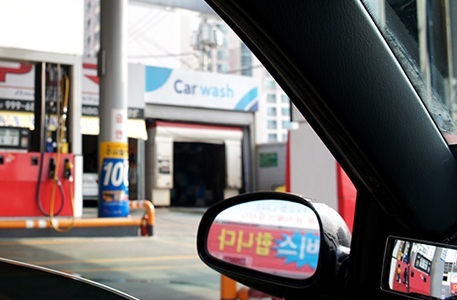 I'm in my car with the Korean girl I'm dating, Eunji, and we take it to a car wash for the first time. It cost a little less than $4 (4,000won). We went through the huge machines and got a wash, then a blow dry. Then we stopped under a little car wash tent and some men did a hand-dry. They will also do an inside cleaning if you want, using a little vacuum, all included. As I was pulling out of the gas station, she says to me, "let's not go here again. They're not good." Being from USA... by my standard... that seemed PRETTY darn good!!! So, I asked, "Why??" "They didn't even give us a free gift. That's Korean style. You should get a free gift like a drink or a box of tissue." Who would've known??? That's just one example of personal standards I've had to abandon to take upon the Korean way of life. Since moving to South Korea in October of 2007, friends and family of mine back in USA have often asked my thoughts, or how I felt. My response: "What do I think about WHAT?" And that is legit confusion, followed by them explaining the recent threats made by North Korea. "Oh. huh. That's interesting. I'll ask my Korean friends." "So," I say to my Korean friend, "what do you think about the stuff North Korea recently said?" "What did they say?" my Korean friend responds. You see, North Korea has been provoking the south and poking the strength of the armistice since it began. Nothing they say or do really changes. It's all the same. If the Korean people choose to care and worry about everything the north says... they will not be able to live their lives. 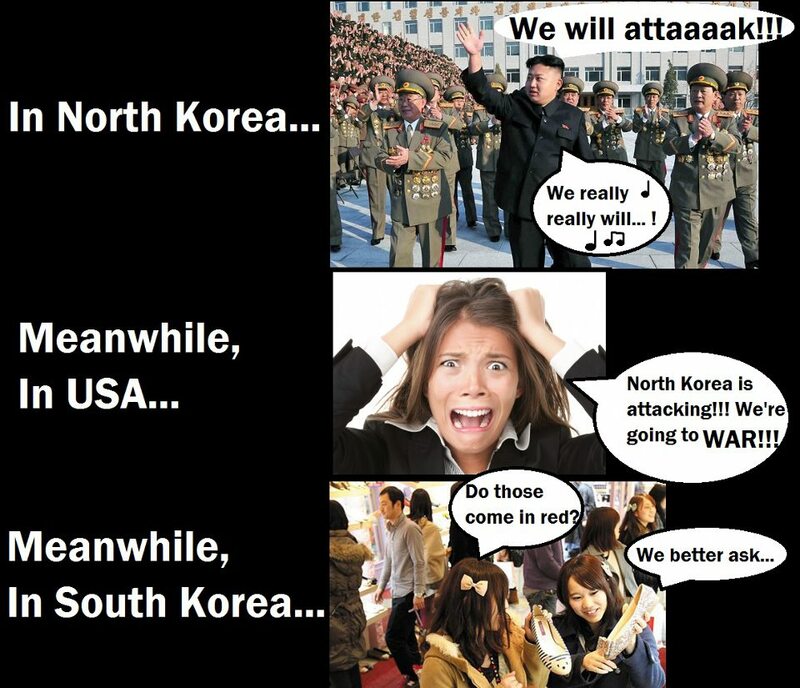 North Korea has every reason to make threats, and next to zero reasons to actually carry them out. So why do they make threats? They do it to make money. The nation is incomprehensibly poor. The people are starving. South Korea and USA and other nations provide aid and income, especially in return for seeing North Korea taking steps away from the threats they make. North Korea does something provocative. 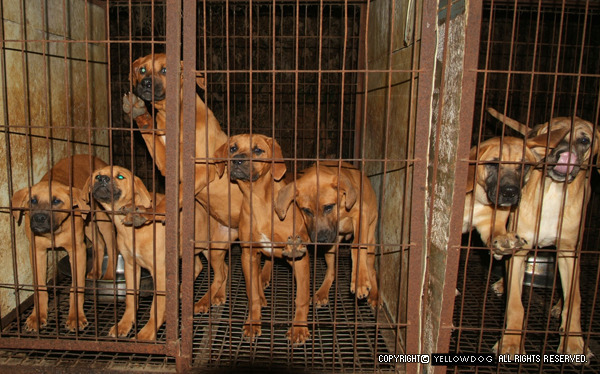 South Korea and USA tell them to stop. They don't stop. They continue. The nations get together and talk. North Korea agrees to conditions for stopping and the other nations agree to conditions of aid in the form of food or other goods/services. All is well and quiet for a while. The truth is - North Korea has become an expert at scare tactics and scams. In reality - they have a dictator-led system of people in power who want to keep their power. Actually going to war is counter productive to keeping their power and maintaining a life of luxury. It would make very little sense to do anything to actually start a war. To rattle a Korean from the south, the north will literally need to attack and take lives, and that itself doesn't even guarantee any kind of life-changing stress. It would depend on where they attacked and how many people died as a result. Read through this list of provocations since the 1960s, IF YOU DARE. April 27, 1965: Two North Korean MiG-17s attack a U.S reconnaissance plane above the Sea of Japan. The aircraft is damaged. Jan. 17,1968: A unit of the North Korean army disguised as South Korean soldiers crosses the DMZ in an attempt to kill South Korean President Park Chung Hee. The assassins make it to Blue House, the official residence of the president, but are stopped in a firefight. Twenty-eight members of the unit are killed. Jan. 23, 1968: The U.S. Navy ship the USS Pueblo is boarded and captured, along with its crew, by North Korean forces in the Sea of Japan in North Korean waters. One sailor is killed in the attack. The 83 other crewmembers are held until Dec. 23. Oct. 30,1968: A wave of more than 100 North Korean commandos begins landing on the northeast shore of South Korea to wage a guerrilla war against the South Korean government. A total of 110 commandos and 20 South Koreans are killed. April 15,1969: A U.S. reconnaissance plane is shot down off the North Korean coast, killing 31 Americans. June 5,1970: North Korean patrol boats seize a South Korean broadcast vessel with 20 crew on board. Feb. 15,1974: North Korea sinks two South Korean fishing boats. Aug. 18, 1976: Two U.S. officers cutting down a tree in the DMZ are killed with axes by North Korean troops. March 1980: Three North Koreans are killed trying to cross the Han River. July 1981: Three North Koreans are killed trying to cross the Imjin River. November 1984: Nine North Korean soldiers and one South Korean soldier are killed in firefight after a Soviet man tries to escape into South Korea. May 1992: Three Northern soldiers in South Korean uniforms are killed in Cheolwon, Gangwon-do. December 1994: North Koreans shoot down U.S. Army helicopter, killing one American. May 1995: North Korean forces fire on a South Korean fishing boat, killing three. May 1996: Seven North Korean soldiers cross into the DMZ but return after warning shots are fired. April 1997: Five North Korean soldiers cross the DMZ in Cheolwon, Gangwon-do, and fire on South Korean positions. June 1997: Three North Korean vessels cross into South Korean territorial waters and attack South Korean boats. A unit of North Korean soldiers crosses the DMZ and are turned back in a firefight. June 1999: Several clashes between North and South Korean vessels take place in the Yellow Sea near the border between the two countries. June 29, 2002: North Korea vessels attack a South Korea naval ship, killing four South Korean sailors and sinking the vessel. July 17, 2003: North and South Korean forces exchange fire at the DMZ. Oct. 9, 2006: North Korea conducts its first nuclear test, in violation of international agreements it has signed. May 25, 2009: North Korea conducts a second nuclear test, in violation of a U.N.Security Council resolution. Nov. 10, 2009: Naval vessels from North and South Korea exchange fire near the border. March 26, 2010: North Korea sinks the South Korean naval vessel Cheonan with a torpedo in the Yellow Sea. Forty-six sailors are killed. Nov. 23, 2010: North Korea fires artillery shells at South Korea's Greater Yeonpyeong island in the Yellow Sea. Two South Korean marines and two South Korean civilians are killed, and dozens of houses are destroyed. April 12, 2012: North Korea rocket launch fails, as rocket breaks apart. Oct. 9, 2012: North Korea warns that the U.S. mainland is now within the "scope of strike" of its missiles. Dec. 12, 2012: North Korea fires long-range missile and says it has launched a satellite into orbit. So am I safe? Yes. What do I think about what the north is saying? It's laughable. What do Korean people think about what the north is saying? They don't care. So who DOES care? Americans... and Canadians. So why choose "waygookboon" for this blog's web address? 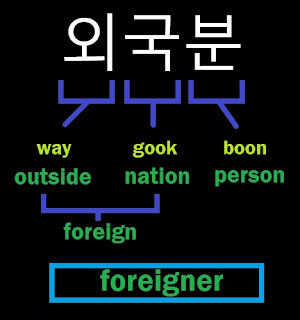 The short answer: It's the polite way to say "foreigner" in Korean. Here's the breakdown. When you walk in certain areas of Korea, it's much more common than you might think to hear someone say, "waygookin!" or "waygookboon! ", the casual and polite ways of saying 'foreigner', respectively. Korea is largely an insider nation, and there is a social-philosophic and historical significance to having Korean blood. Sometimes referred to as The Hermit Kingdom, Korea is well known to resisting foreign influence as much as possible. I happen to have this picture. One day, I met some friends at a Starbucks in Gangnam, Seoul. I ordered my latte, and when I got it, I noticed the Korean writing on the side, which says "waygookboon". I was so amused, I had to take this picture to commemorate the occasion. After ordering my coffee, they actually wrote "foreigner" on the side of the cup so they could identify me... followed by the smiling eyes. I'm sure they did it because they assumed I wouldn't understand the Korean when they call out the name of the drink or my order number - so it was innocent... but very amusing, nonetheless! There's also a standing joke with the Korean girl I'm dating. When I do something innocently outside of the cultural norm, here, she'll playfully accuse: "You foreigner!" 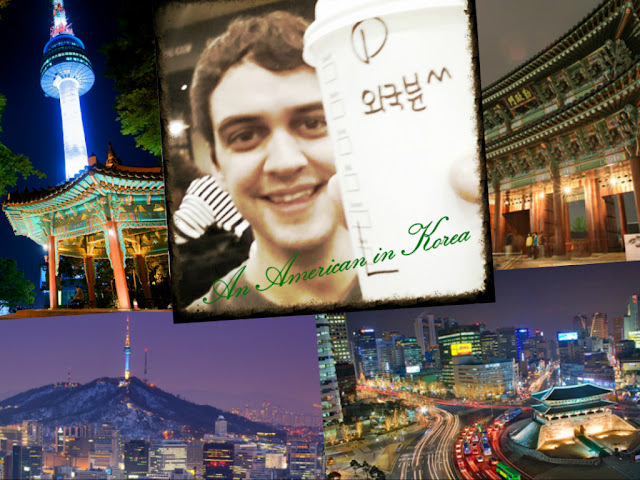 "An American in Korea" is a blog spin-off of an older blog I had started (www.teslinkorea.blogspot.com), chronicling my thoughts and experiences in Korea. I come from a suburb of Chicago. My home town has a strong Christian handle with plenty of churches. It's not diverse at all. 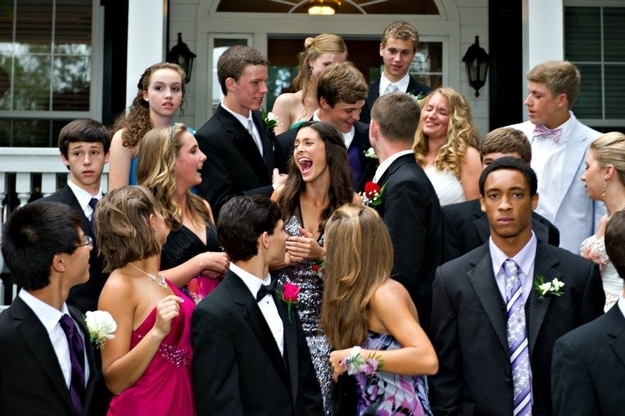 Pretty much everyone is white, save a few minorities: black, asian, hispanic. When I was in high school, you could count the number of minorities on your two hands. Needless to say, I grew up underexposed to the myriad of cultures and peoples in the world, so I also grew up very curious. 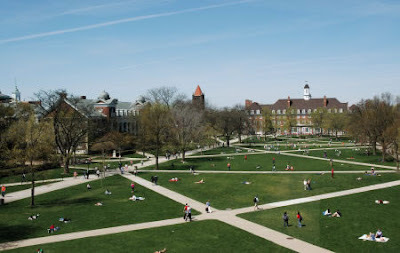 I eventually went to the University of Illinois in Urbana-Champaign, having become a born-again Christian just a couple years earlier. 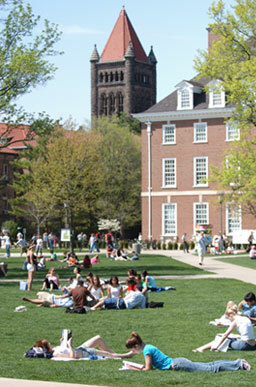 I'm very thankful to my University for great opportunity and exposure it gave me. 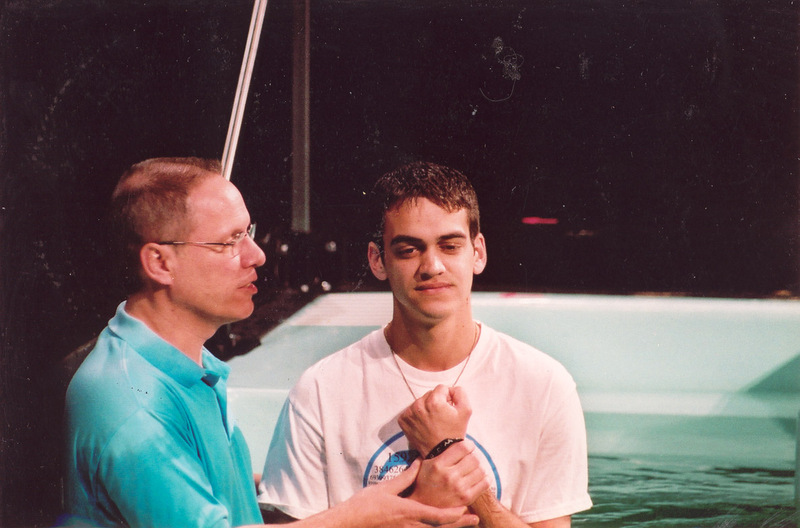 I began going to a Korean church, there, called Covenant Fellowship Church (CFC). It is a Korean church. The Pastor is Min Chung, and I loved it so much, I became a member and joined their small group. This was my first deep exposure to anything resembling asian culture --- and from there I realized I wanted to travel the world and learn about new cultures and people. After graduation, I was able to travel a bit to Cyprus, Egypt, Jordan, Israel, and Palestine. I enjoyed every second of it. 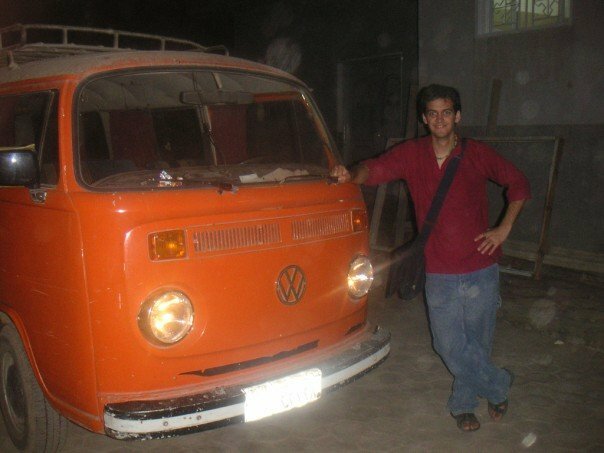 When the time came for me to be dragged back to reality and get a job, I decided to teach English in Korea, having had some exposure to the culture already. They pay well enough and I had University debt. My goal was to pay off my debt and eventually teach in a poor country when I wouldn't need the money, anyway. I arrived at Incheon International Airport in October of 2007 to teach English. This Blog is an avenue to share my thoughts, experiences, and theories. I want you to taste this culture - and give my experiences to you. Maybe you are curious about Korea. Maybe you've been here, and miss it. Maybe you're thinking about coming. Maybe you just like different things. 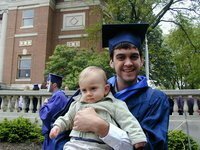 Whatever the case, I hope to make this blog for YOU. My goal is to provide unique insights and perspectives that I consider my treasure - things that not everyone gets to hear, see, or know about. THANK YOU to Korea for the opportunity to experience and be a part of the things you have to offer.